Here it is…my top music list for 2012. Enjoy! I really wish I could remember how I heard about this band. I don’t listen to the radio, watch MTV (as if it even had music), and I don’t use radio-like services such as Spotify, Pandora, etc.. It must’ve been word of mouth, I guess, but I’m glad it happened! They strike me as a cross between the Sugarcubes (do all Icelandic females sing like that?) and Mumford & Sons. It’s peppy, fun, artistic, clean, and just very enjoyable. Definitely one of my top albums for the year. 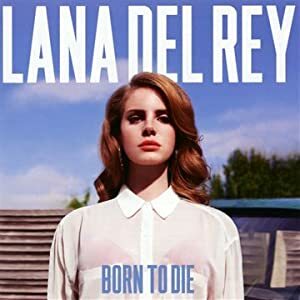 So…why on earth is Lana Del Rey on my top music list for 2012? What can I say – I like this album. I knew nothing about her when I saw this album advertised in the window of my local Easy Street Records shop. The cover intrigued me, and I definitely expected something…well…different, which it certainly is. But I liked what I heard, I enjoy her voice, and it was a nice segue from my usual musical tastes. It was a couple of weeks later that I heard gripes about her as a person, about her boring performances, and so on. No matter. I was sticking to my guns, and it is definitely a favorite of mine album for this year. This is one of those artists that I’ve listened to from the sidelines. I’m neither disinterested, nor am I a rabid fan. 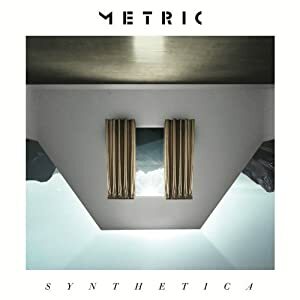 I like their music, and Synthetica continues that trend for me. It doesn’t sound as ‘genius’ as their previous release, Fantasies, but others may disagree. They simply put out solid music, and I wonder why this band isn’t a worldwide phenomena. 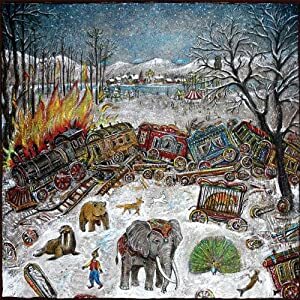 It was with some trepidation that I awaited the release of mewithoutYou’s newest album, Ten Stories. Although I enjoyed much of their previous album, It’s All Crazy!, it felt like a step backward to me – and I do consider myself to be a fairly rabid fan of this band. Ten Stories doesn’t quite harken back to their 2nd and 3rd albums (my favorites), but it does showcase how talented this band is – both as a group, and as individual musicians. In some ways, this may be their most “commercially plausible” album, but as always it will be heard by far too few. It’s no secret that Mumford & Sons’ previous release, Sigh No More, was a surprise commercial smash hit. Although their sound is polarizing to some, this group appeared to be able to do no wrong. That usually makes for a worrisome sophomore release, which often makes or breaks a band. When I heard the first single from Babel, I wasn’t sure what to think: it sounded good, but it sounded “safe” – just more of the same. Is that necessarily a bad thing? 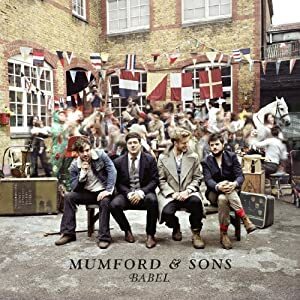 Truth be told, if you didn’t like Mumford before this latest album, this one isn’t going to sway you. If you were already a fan, however, you’ll find new genius with Babel. It’s just a tremendous album from a very talented group of guys. 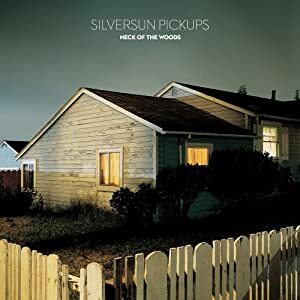 Very few bands had as high of expectations with me as did the Silversun Pickups. Their previous release, Swoon, wasn’t just a favorite from that release year, it was actually a favorite of mine for that decade. Yeah…a lot to live up to. Thankfully, Neck of the Woods does not fail to impress. It’s definitely the signature Silversun Pickups sound, but with a darker (perhaps more electronic) flavor. If Swoon was an instant classic to my ears, then Neck of the Woods was a bit of a slow burn that eventually flared up. Seeing them in concert earlier this year was just icing on the cake! I don’t necessarily set out to have an “album of the year”, per se, but the thought crosses my mind. Some years, such as last year’s favorite Love & War & the Sea Inbetween by Josh Garrels, are obvious choices for me. Other years are more difficult. 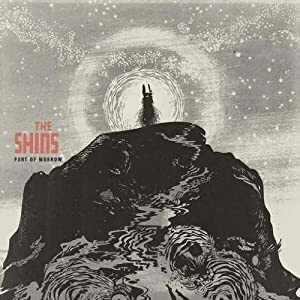 This year, however, I think I can honestly say that Port of Morrow by The Shins is my absolute top pick for the year. Having already perused several “top albums of the year” lists for 2012, I’ve already seen this album on many of them. It’s just very, very good. But it was also a bit of an unknown quantity upon initial release, seeing as this is a completely new line-up of musicians, save for the primary singer/songwriter, James Mercer. Their previous release, Wincing The Night Away, is another favorite album of mine, but fans of that album may not necessarily enjoy this one in the same way. Port of Morrow is decidedly less strange, less experimental-sounding, and (in many ways) more commercially acceptable – but not in a “these guys sold out” sort of way. Not at all. It’s just great song writing, and the track “Bait & Switch” is probably one of my favorite Shins songs ever. What really put it over the top for me, though, was a realization that I felt happy after listening to it – almost like slipping on a favorite sweatshirt or pair of slippers. It has a vibe that’s difficult to find these days. Great work! Nothing ground-breaking here. Just classic, very good Starflyer, though I probably prefer My Island or Changing Of The Guard a bit more. As a self-proclaimed Fiona Apple fan, I was anxiously awaiting her new album, and I was not disappointed. I also wasn’t totally blown away either. The Idler Wheel is probably her strangest song writing to date, but there’s a lot to enjoy on this release. We first heard about these guys as they were opening up for Silversun Pickups during their most recent tour through Seattle. But we really liked what we heard, and subsequently grabbed their EP, Through The Glass. Definitely anxious to hear their full release, whenever that comes out. 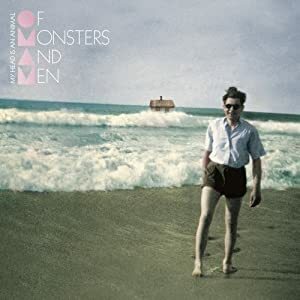 I can’t say that remixes and b-sides typically excite me much, but Love & War & the Sea Inbetween was such a powerful album for me last year, I jumped at the chance to grab more of this material. What can I say? The remixes are great, and the b-sides – songs left off of last year’s album – are as powerful as ever. Will it make new Josh Garrels fans? Probably not, but it certainly rewards the fan base he already has.